Two years before his Intersections project Sk(in) at the Phillips, A. Balasubramaniam (or Bala, to us) gave a TED Talk on substance and absence, qualities his project here explored as well. A year later, Antony Gormley’s Phillips exhibition Drawing Space coincided with another intersection with TED. Gormley’s Ted Talk about sculpted space, within and without, was filmed the month his show opened at the Phillips and posted to the web the month it closed. I love that Bala and Gormley both chose to use two seemingly inverse platforms–on the one hand a 15 minute talk virtually available on-demand across the globe and, on the other, a tangible, experiential installation at “an intimate museum combined with an experiment station”–to explore and explain ideas about complimentary dualities: space within/without, substance/absence. Take a few moments out of your day to flow between yin and yang with Gormley and Bala in the two TED Talks below. 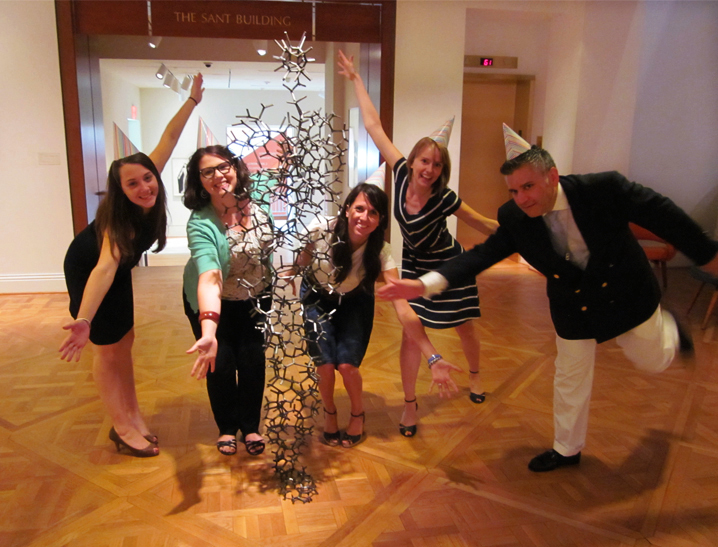 The artist couldn’t be here on his birthday, so Phillips staff salute the next best thing: his beautiful work! 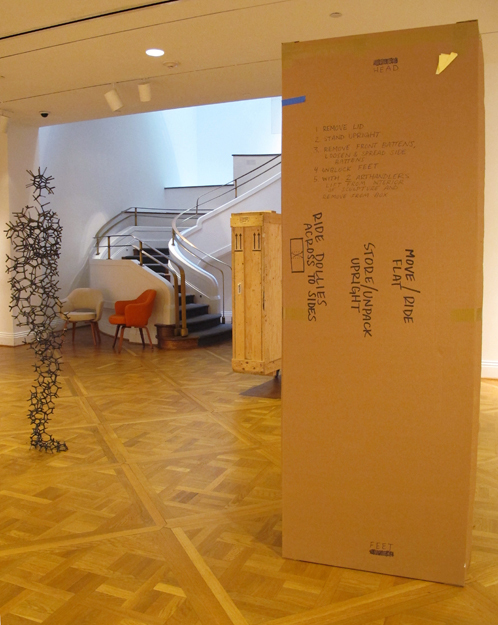 Happy birthday to Antony Gormley; we’ll miss Drawing Space when it closes September 9.